With Editmaster, your eBusiness is everywhere. What is Editmaster Business Software? Editmaster® Business is an e-business software solution that unites business needs, processes and business strategies for all kinds of online web applications. Editmaster Business provides a secure and usable online interface for multi-user access to business processes including e-commerce, customer relationship management, website content editing or other customised features, all integrated into one system. You can use Editmaster Business from the browser on your desktop PC or Mac, Tablet and Smart Phone without restriction, it's all your online data, anywhere. 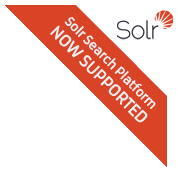 Now with Solr Search Platform support. Read more about Editmaster's features.